Google removed 13 applications from its Play Store. 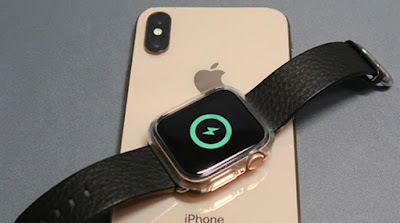 The reason behind is that the application was installing malware in the device, after which Google decided to remove them. According to the information, most of these are gaming apps that have been downloaded to about 5,60,000 Android devices. ESET security researcher Lucas Stefano also tweeted. Stefano has also given information about these apps in his tweets. 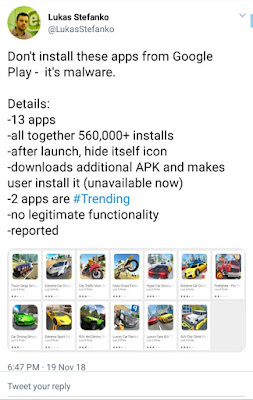 There are some applications like truck cargo simulator, extreme car driving, hyper car driving simulator, which have been accused of installing malware. Stefano said in his tweet that there are 2 apps in this app store that were listed in the trending section in Google Play Store. 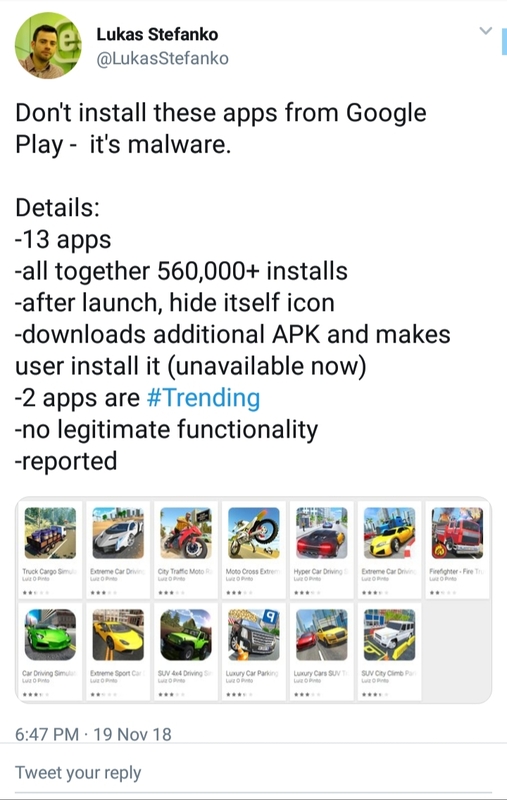 Apart from this, a special thing has also been revealed that all these deleted apps have been developed by developer Luizo O Pinto. When we open these these apps they force us install APK game centers. According to media reports, after installing the APK, this app display ads when the device was unlocked. when the users tries to open these apps These apps was crashed but it still install malware in the phone.